A wide variety of analytical techniques are utilised to analyse and characterise products, from evaluation of raw materials through in-process and intermediate testing, and rigorous final product release testing. We offer full analytical provision for regulatory filing purposes, including method development, validation and reference standard qualification. To support your API development programmes and regulatory submissions, our services include the identification, synthesis and characterisation of impurities and reference standards (including stable isotopes labelled compounds). We can synthesise the most complex compounds, enabling confirmation of the identity of impurities generated in the manufacturing process, with reference standards used in validating analytical methods. 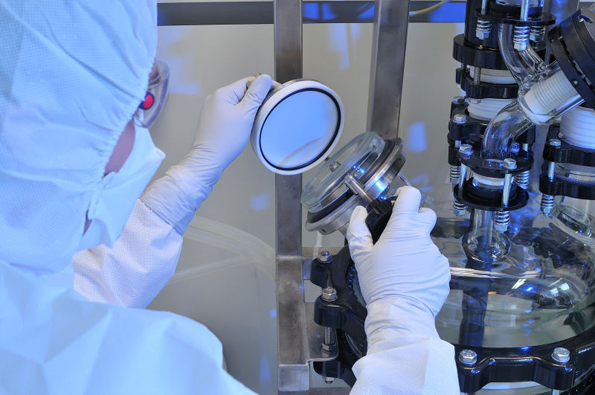 We understand the importance of the crystalline form of an API to drug development, as it can affect bioavailability, stability and formulation properties. We support our customers with crystallisation services which include salt screening and optimisation of the crystallisation conditions; polymorph screening services complement this work. Stability testing is used to determine shelf-life and storage conditions of pharmaceutical products. Having manufactured your drug substance, SONEAS Research can undertake stress tests, accelerated and long term stability studies, under protocols based on ICH guidelines, helping to enhance your regulatory submissions.